Thread: £500 for CPU/MB/RAM/GPU combo....suggestions? As per title, I have a friend with a hard limit of £500 thinking of upgrading his core PC components. He's currently running a Q6600, 8Gb DDR2, Asus P5KC mobo and HD6870 1Gb gpu. Obviously he's well overdue an upgrade but on a tight budget. Fortunately the rest of the system is sound and he's invested in a quality power supply (550W Antec, can't remember the exact model but know it's in the mid-higher end range). As such I'm looking to advise him on a upgrade path with a £500 budget. He plays a lot of Direct Combat Simulator - so something with a lot of CPU grunt and reasonable GPU performance and 16GB RAM is what I'm aiming for. I've no idea with regards to Ryzen motherboards. Ideally I'd like to do some light overclocking to 3.8 to 3.9 Ghz for him (to ensure long term stability). I'd love to fit a Ryzen 5 1600 into the build, but would relent for a R5 1400 to free up some more cash if it meant a more balanced system. Any thoughts people? Re: £500 for CPU/MB/RAM/GPU combo....suggestions? Does he need Windows 10 and what drives can he re-use?? Not 100% on the PSU, but believe it is a True Power 550W...not sure of exact model number though. Windows 10 not required in the budget given. He has a 256Gb Crucial MX100 SSD + Mechanical drive, and will re-use and an Antec P180 case. Thats good he has an SSD,as that should help general performance for certain games especially if many assets needed to be loaded during the game. If your mate only plays that game a Core i5 6600K might be a viable option(you can get them for £160 from CEX),or even a secondhand i3 7100 from CEX for around £80!! Ryzen seems to run OK on it,but nobody has compared to yet on the devs forums,so it will be interesting too see the performance difference. I don't think either will have as much longevity as a Ryzen 5 1600 or even a Ryzen 5 1400 long-term,but it depends if they want to play other games too. Hmm, that 16GB is probably the biggest dent in the budget - even at 2666MHz it's going to set you back £120, and if you're seriously considering Ryzen then really you want 2933 or 3200, which is another £10 - £15. Add the R5 1400 @ £150, go with the 2666MHz RAM, and you've got £165 left - just enough for the Sapphire RX 570 PULSE ITX. IMO that's the best bang for buck you're going to get at £500 if you're set on 16GB of RAM - personally I'd be tempted to drop to 8GB of 3200MHz RAM (£80). The £40 saving would let you pick up a 4GB RX 580 and have a tenner left over. Well the main issue is the cheaper 16GB high speed RAM kits tend to be Corsair and they are a bit of a lottery when it comes to the chips used and what rank they might be,meaning you can get Samsung,Hynix or Micron and that can impact what speeds the motherboards will run them at - its why for a Ryzen 5 1600X build I helped with I literally went through the RAM QVL and found an Adata set which would work out of the box fine as it was qualified by AMD. Even then anything over 2666MHZ is a bit of a lottery as some RAM/motherboard combos seem to have issues going past 2133MHZ(!). But anyway its possible to get 2400MHZ DDR4 set,for £100. TBH,I really hope the new AGESA update helps things as you need to get Samsung B die single ranked DIMMs to try and get 3000MHZ and above it seems,and its expensive. As a plot twist I might sell him my GTX970 for £100. But I'm not liking the sound of RAM speed issues. I must admit I'm completely out of date with the current tech but understand Ryzen really want 3200 RAM to get the best from it. It is really that much of a lottery to get a working combination of RAM and Mobo to achieve a guaranteed 3200? To get 3200MHZ you need expensive memory,but realistically once you go over 2933MHZ its not really worth the cost - even with Intel anything over 2400MHZ is technically overclocking the memory controller. AMD officially supports 2666MHZ single ranked memory out of the box. OFC,some games like FO4 are very bandwith limited even with Intel CPUs,but generally speaking,I would aim for a decentish 2800MHZ/2933MHZ set and hope the new AGESA update will mean things will improve. I was under the impression the Ryzen R3 range was coming in 2H 2017 so that might mean July? So it might be worth holding on to see how they perform. There's an interesting video below of a simulated R3(R5 1400 running with SMT disabled) that might give an impression on how they might perform.. pretty well it seems! The host even speculates it might be the reason why AMD aren't rushing the R3s out because they might be too good in relation to more expensive R5s! I know it's highly speculative but it could be worth holding on the for R3s and saving the money(depending on the R3 pricing) and to more put towards a better graphics card.. maybe a RX 570/580? The R3 could be upgraded later on if 4 cores doesn't cut it further down the line too. Of course, Intel don't have the same memory issues, but it has other problems, not least the comparative cost of feature equivalent hardware. At around the same price point as the R5 1400 you can pick up an i3 7350k, or an i5 7400. The i3 has great stock single-threaded performance and overclocks - but it's only 2 core/4 thread, and to overclock it you need a Z270 motherboard which will add at least £35 to the cost. The i5 is at least a native quad core, but at 3.0GHz base/3.5GHz boost it's significantly lower clocked at stock and it can't be overclocked. At stock it will be much quicker than an R5 1400 in single threaded tasks, but much slower in multithreaded tasks. Overclock the Ryzen, and it will pull back a lot of the ground in single-threaded tasks while stretching its lead in multi-threading. Last edited by scaryjim; 31-05-2017 at 02:05 PM. If you want a motherboard that can overclock however, I think you'd need to drop to a slower GPU. Last edited by Bagnaj97; 31-05-2017 at 02:06 PM. Corsair has three revisions for each line so I would probably be a bit weary of them TBH as some RAM/board combinations with Corsair RAM would either have people being limited to 2133mhz or getting 3000mhz using the same set(!) and its important to make sure you use single ranked sets too. Got the 3000MHz pair with a Gigabyte GA-AB350M Gaming 3 motherboard and a Ryzen 1600. XMP doesn't work (yet!) and I only have this running at 2400 after tweaking from the 2133 base but with time, support will be better. Great price for some fast memory. Running flawlessly at their rated speeds/voltage on my cheap little MSI B350M Mortar motherboard - impressive given the current issues around choosing RAM for use with Ryzen systems. Low profile means minimum interference with hefty air coolers. Managed to get these sticks to run at 3200mhz with AMD ryzen b350m gigabtye after the bios update. Highly recommend even at stock clocks, since look smart and allow sufficient space for heat sinks and fans. You also have people asking what versions they are - the version number is what ram chips are used. Look at the two people using a Gigabyte B350 motherboard - the earlier person had no issues,but the person who did the build later with a more up to date BIOS seems to have had issues. DCS only seems to use two cores at most,so I would argue that a Ryzen 5 1400 or even the Ryzen 1100 might actually be OK if overclocked despite the lower amount of cache. ... If you want a motherboard that can overclock however, I think you'd need to drop to a slower GPU. 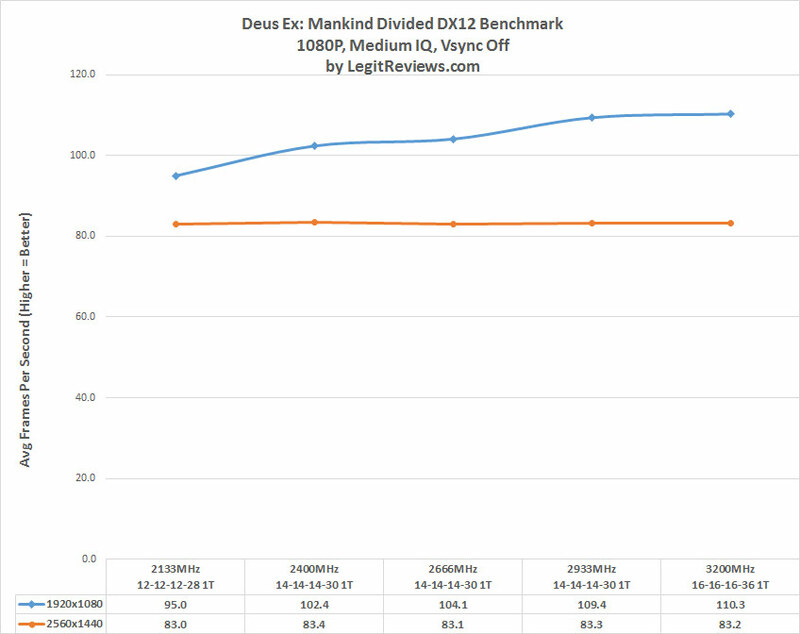 ... DCS only seems to use two cores at most,so I would argue that a Ryzen 5 1400 or even the Ryzen 1100 might actually be OK if overclocked despite the lower amount of cache. G4560 with GTX1070, I think you're tipping the balance a little far the other way! R5 1400 and RX 570 should be about right though. Yeah, totes - I'd hope that any game that can actually use the power of a GTX 1070 would want more CPU oomph than the Pentium can provide. But there'll always be one or two games that would work best on a horribly imbalanced machine! I think the really interesting choice here is between the R5 1400 and the i5 7400. Even with the Ryzen OCed to its limits (likely ~ 4GHz) I think the i5 would still have the single-threaded edge. It'd make an interesting article/review, IMNSHO.